It is time, once again for the Wild Wild West Karate & Breaking Championships. This years tournament is April 18 and 19 at the Abilene Civic Center. It is easier than ever to register. We have a new format using matschampion.com for our registration system. For online registration or to download the printable form click here. And we can always use more volunteers. If you would like to volunteer your time, please contact Brandi at mixonbj@gmail.com. June 30 LOADING DAY – Everyone competing at the US Open is required to be here and help!! There will be a lot of work to be done. All our stands and materials must be loaded and ready to leave on Monday July 1!! 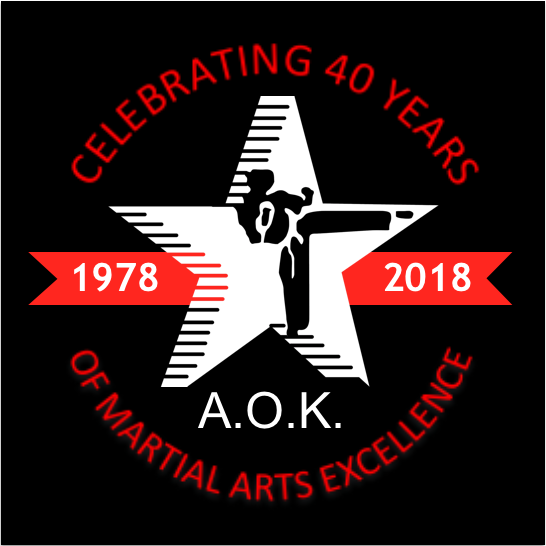 Any questions, please contact Shihan Fields. We will do our best to make sure you get to see your student compete, Please let me know ASAP if you can help us out. See my contact information below or see me at the dojo. There will be approximately 300 competitors and their families coming to our tournament and we want them to feel welcome. Our volunteers are what will make this tournament a success. Please remember – WE CAN NEVER HAVE TOO MANY VOLUNTEERS! What a great turnout we had for our tournament. We had almost 400 competitors! Next year we hope for more. Thanks to all of the people that volunteered to make everything run smooth. Mattie Bryan: kata 3rd, sparring 3rd, continuous sparring 1st & personal best in breaking, power wood foot broke 10 of 13 boards! The Wild Wild West Texas Karate Tournament pre-registration is now closed, but it is not to late to join the fun. Registrations will be taken at the door. Grappling and continuous sparring are taking place Friday April 27 at 6:00 PM at Abilene Mixed Martial Arts dojo located at 1083 N. Judge Ely, Abilene, TX (easy access from I-20) and forms and sparring will take place Saturday April 28 with the doors opening at 8:00 AM at the Logos Hotel located at 5403 S. 1st, Abilene, TX (also easy access from I-20). You can still download a flyer here and have it ready when you get to the door. We look forward to seeing everyone on Friday and Saturday! The Wild Wild West Karate Tournament is in just a few weeks! If you haven’t signed up, now is a good time to do it. Click on Wild Wild West Karate on the left side bar and follow the directions to either download the tournament flier or to register online. Also, I still need volunteers. Remember the more volunteers we have the less time we all have to work. You will also get a volunteer T-shirt, free admission, and an additional admission into the tournament. We had a great time at the Big “D” Championship this past weekend. Check out the results here. I was able to get a few pictures and they are here if you want to check them out. Remember! I can’t get everyone at every tournament. If you want to see more pictures than what I have, please get them to me so I can get them added! It’s time to start gearing up for our tournament, the Wild Wild West Texas Karate Championships, on April 27 & 28. I know everyone is working hard, practicing and getting ready. If you haven’t already (and a lot of you have not) get your registration in as soon as possible. I need to get those in so I can start focusing on other things for the tournament. And remember, the earlier you get it in, the better seed you get! If you have any questions about registration, please let us know. I still need more volunteers to sign up. Again, the more volunteers we have the less amount of time everyone has to work. AND you get an extra spectator pass for anyone you choose. And don’t forget the sparring seminar on April 13 & 14. Get signed up for that ASAP too! We had a great showing this past weekend in Addison. Started the day with the traditional lion dance which is always fun and the day just got better. We had 16 participate and brought home 20 trophies, some much taller than the people that won them! Also competing were Hazel Herrera, Italya Herrera, and JJ Shanz. Congratulations to everyone! So proud of you all!! I will have new pictures up soon!! The parent meeting has been rescheduled for Thursday March 22 at 6:00. Please make plans to attend. We will be discussing very important information for our tournament, Wild Wild West Texas Championships which is scheduled for April 28. We will be keeping this meeting as short as possible, so pleaes be there early so we can start on time. Learn how you can save some money at this tournament!!! Remember, each student is required to attend four tournaments this year! This one counts as one! Parent meeting to be held Thursday March 8 at 6:30 PM. PLEASE make plans to attend. Larry will be covering some things about our tournament on April 27/28. Abilene Mixed Martial Arts, tell them to do so. We post several reminders and events there and will be posting them here also.